Greenwich, Connecticut, is a diverse community of amazing artists, entrepreneurs, diplomats, writers, business executives, actors, hedge fund managers, sports figures and other wealthy residents. 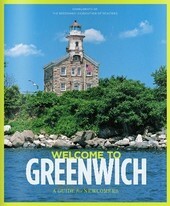 Boasting a great location just twenty-five miles from New York City, Greenwich is continually ranked as the state’s No. 1 place to live. With award winning restaurants, a state-of-the-art hospital, beautiful parks, gorgeous beaches, wonderful shopping opportunities and a fantastic library, Greenwich has also earned the No. 1 spot on Money Magazine’s list of the best places to live in the nation. Within Greenwich there are fifteen amazing neighborhoods and among them you’ll find Cos Cob. Cos Cob is a census-designated place located on the Connecticut shoreline of southern Fairfield County. Home to around 6,800 residents, Cos Cob is situated on the western side of the mouth of Mianus River and is a quiet, village-like part of Greenwich known for its celebrity residents and gorgeous estates. Cos Cob was ranked the 287th wealthiest place in the nation by Forbes in 2015 and the median sale price for home in the area is around $1.4 million. Within Cos Cob there are several remarkable condominiums, smaller neighborhoods and subdivisions, among them you’ll find Old Stone Bridge. Old Stone Bridge is a community of gorgeous single family homes of varying traditional styles, such as Colonials, as well as waterfront properties with breathtaking park-like atmospheres. Residents of Old Stone Bridge enjoy easy access to all they need via the Hub, a section of Post Road lined with restaurants, shops and services. Additional shopping and dining opportunities await Old Stone Bridge residents in downtown Greenwich. With beautiful homes and easy access to shopping, dining, entertainment and recreation, the Old Stone Bridge neighborhood is a great place to buy a home in Cos Cob. 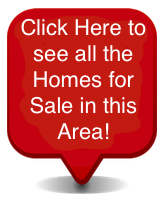 If you would like to learn more about the homes for sale in Old Stone Bridge of Cos Cob in Greenwich, Connecticut, please do not hesitate to contact us today. Above Grade Home Inspections Inc.